From Universe to Society | This is Design Thinking! One would not expect to find design thinking in a place where physicists and engineers use some of the world’s most powerful particle accelerators and complex scientific instruments to probe the fundamental structure of the universe. Yet at CERN a design thinking initiative was started. Why? What is the universe made of? What is dark matter? Is there a theory of everything that could explain the fundamental laws of nature? These scientific questions relate to peculiarities in sub-atomic particles and have very little to do with human factors. Might there still be an interesting setting to use design thinking in the process of exploring them? Or do these questions contradict with the vital aspect of human centeredness in the design thinking approach? We talked to Harri Toivonen, a Project associate at CERN and Coordinator at the Aalto University Design Factory. He is part of the development team for CERN Ideasquare. 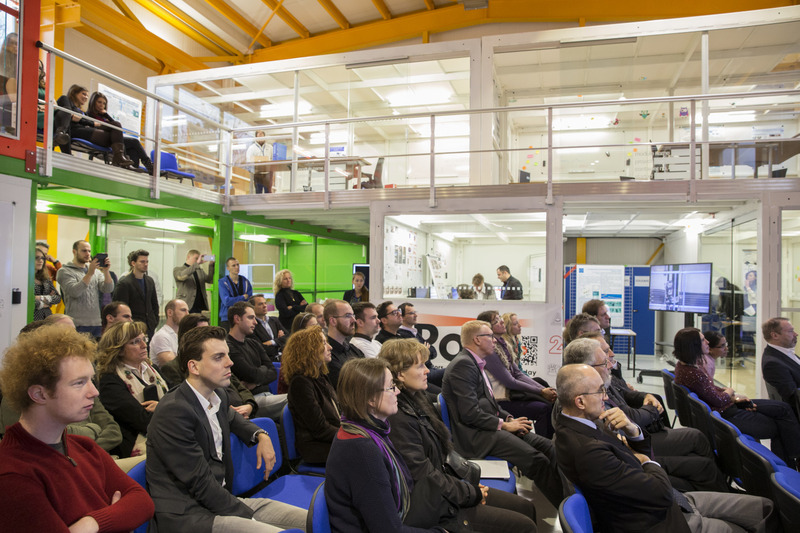 Ideasquare started two years ago as a pilot project bringing together physicists, engineers, industrial partners, researchers and cross-disciplinary teams of students to work together on LHC detector upgrade projects. Design thinking as enabler for knowledge transfer? The challenge at CERN is that researchers might not have resources or capabilities to look at how their results could be utilized outside the high-energy physics research context. In order to find new ways in which basic research advancement can positively affect our everyday lives, new ways of working need to be piloted and tested. Harri states: “Development work is shifting from traditional researcher-developer-manufacturer relationships to collaboration to co-creation in order to compact development time and minimize risks involved.” Therefore one of Ideasquare’s intentions is to test and see whether design thinking could augment the already existing ways of doing research and knowledge transfer at CERN. CERN stands for the European Organization for Nuclear Research. At CERN, physicists and engineers work with highly complex scientific instruments to make particles collide together nearly at the speed of light to study the basic constituents of matter – the fundamental particles. The process gives the physicists clues about how the particles interact, and provides insights into the fundamental laws of nature. Scientific knowledge generated for a specific purpose like this is at times challenging to use in societal issues driven ambits outside CERN. But are there ways that could make it possible to convey the value of basic research in other scenarios? How can one distill information that is highly technical into an actionable format? The Ideasquare (first: IdeaLab) was set up as an experiment. To allow the researchers at CERN to discover fresh ideas and to collaborate with people from other backgrounds, Ideasquare is seeking for new ways of cooperation between research teams, companies and students. The physical space for Ideasquare was developed into an old assembly hall that was already standing on the demolition list. The newly renovated space allows people to come together and experiment. One of the first insights has been that prototyping plays a central role in everything that happens in Ideasquare. “We believe that value of ideas stemming from basic research is easier to build upon when they are realized in tangible format”, explains Harri. 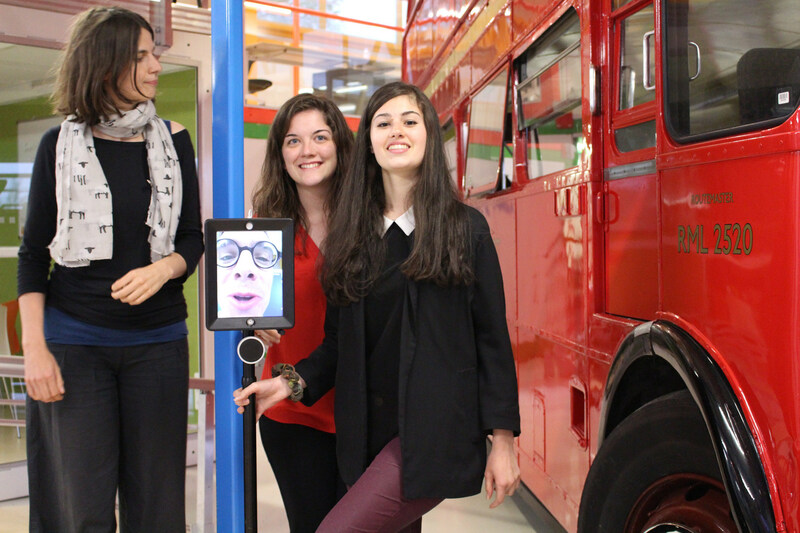 What exactly happens at Ideasquare? At the moment it hosts two detection and imaging R&D projects, a master-level student innovation course, and multiple types of workshops and hackathons. The R&D projects are called Edusafe ITN and Talent ITN. ITN stands for Initial Training Network, a specific type of project funded by the 7th Framework Programme by the European Commission, focusing on technology advancement and career development of young researchers within specific technology areas. For Edusafe ITN, the motivator for the project is work safety: Because radiation increases in the realm of accelerators and detectors in the upcoming years, the duration which people spend in such environments need to be minimized and special monitoring, guidance and safety equipment needs to be developed. Talent ITN focuses on piloting new state-of-the-art technologies for a new precision pixel detector, improving the measurement accuracy of the Atlas experiment in the LHC. The master-level student innovation course, called Challenge Based Innovation (CBI) is highly inspired by Stanford’s ME 310 and Aalto University’s Product Development Project (PDP) courses. The CBI course collaborates currently with 8 universities worldwide. For courses like the CBI, CERN can provide the physical space to work in and the contacts to researchers and engineers working on the cutting edge of technology. Until now, design thinking workshops have been held for master-level students only. Workshops for CERN staff are not planned yet. But there is an interest for inspirational lectures on design thinking and entrepreneurial activities. “There’s no pressure to use design thinking, we are testing what additional points-of-view could help the researchers in their work”, Harri emphasizes. In the two pilot versions of Challenge Based Innovation course, the CBI student teams have been working on various design challenges. Examples from the first pilot include a team developing a tool called CMPRSSD, that records team meetings, transforms them into text and filters out the key content. The team recently formed a start-up from their idea. In the recently concluded second CBI pilot student teams were working on topics including for an example helping blind people to navigate their surroundings better, controlling and reducing food waste, and helping elderly people to mitigate the dangers of falling down in slippery conditions. Time will tell what will become of the student team prototypes in the near future. When the building is not fully occupied by research projects and master-level student teams, Ideasquare also hosts “Hackathons“. These are typically one to three day dedicated innovation events during which selected teams work to construct a prototype, respecting a tight deadline and challenge-driven assignments. Employees can organize such “hacks” when they want. From the experience with Ideasquare projects, there are already multiple takeaways, Harri says. “It has been interesting to see how the more experienced researchers have been inspired by younger generations and fresh ideas – and on the other hand, how early stage researchers and master level students have been able utilize the experienced researchers expertise in contexts far from high energy physics.” For an example the project for autistic children showed that new collaboration models have potential: the accumulated knowledge developing complex scientific instruments can be applied in more human-focused contexts by passionate student and researcher teams.